Israel's long-running policy of settling civilians in occupied territory is considered a war crime under the statute of the International Criminal Court (ICC). This equivocation does, however, help sustain the cycle of violence and perpetuate further violations of international humanitarian and human rights law. This entry was posted in Business and Human Rights, Children's Rights, International Justice, Middle East and North Africa, Military, Police and Arms, Poverty and Human Rights, Prisoners and People at Risk, Refugee and Migrant Rights, Torture, United Nations and tagged Children's Rights, communities at risk, economic social and cultural rights, international justice, israel, legislative and policy reform, military and police training, Military Police and Arms, Occupied Palestinian Territories, palestine, the right to education, USA by Edith Garwood. Bookmark the permalink. Well put, Ms. Garwood. If it is a war crime,where are the prosecutors? How can we pressure the ICC to act? These are issues of power and where it lies. The powers that be are not interested. Thank you for giving a brief but detailed summary and explanation of the severity of the war crimes on the part of Israel. It needs reiterating as much as possible, and this article makes very clear the lack of any ability to argue otherwise.. Illegal settlements built under policies that constitute war crimes. The international community would have little problem compelling Israel to obey the law and respect human rights were it not for the blanket diplomatic, economic, and military protection the US provides to Israel. The US government has shown little ability to change its ways, likely due to the stranglehold the Israel Lobby has on Congress, so there is really no choice but for people of conscience to do an end-run around the government. Perhaps its time for Amnesty to throw its support behind the grassroots BDS campaign. They need to change their policies. Everyone is trying to keep the environment safe and clean but the Israel's crime policies are discouraged. Of course we're talking about a war crime here. no question about it. The US are choosing the easy wayout and are finding technicalities to justify their not intervening. 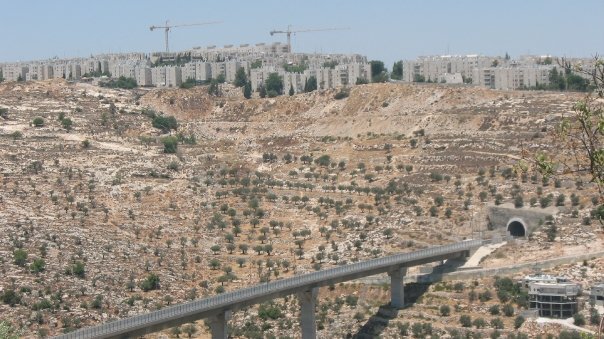 A very worthless justification on settlements!!! Israel has become a criminal nation that has decelerate on several established peace accords. Zionist response indeed with impunity and total disregard of international agreements Un Security Council resolution 446, adopted on 22 March 1979, concerned the subject of Israeli settlements within the "Arab territories populated by Israel since 1967, including Jerusalem. This refers to the Palestinian areas whatever the West Bank, East Jerusalem and the Gaza Strip in addition to Syrian Golan Heights.Within the Resolution, the Security Council determined: "that the policy and practices of Israel in establishing settlements within the Palestinian as well as other Arab territories occupied since1967 have no legal validity and constitute a serious obstruction to achieving an extensive, just and lasting peace within the Middle East"
Everything Israel has done is against basic human rights and I don't understand why we don't intervene to help Paletinians have a life again! Bassem, my Brother, all my thoughts and prayers are with you in your lawsuit against Elliot Abrams. He is a very evil man causing much harm to world peace and Brotherhood. For my tax dollars to be used to represent such a criminal reveals how America has lost its soul. Bassem you are a true man of Peace who will prevail in the end. Thank you for giving a brief but detailed summary and explanation of the severity of the war crimes on the part of Israel. It needs reiterating as much as possible, and this article makes very clear the lack of any ability to argue otherwise.